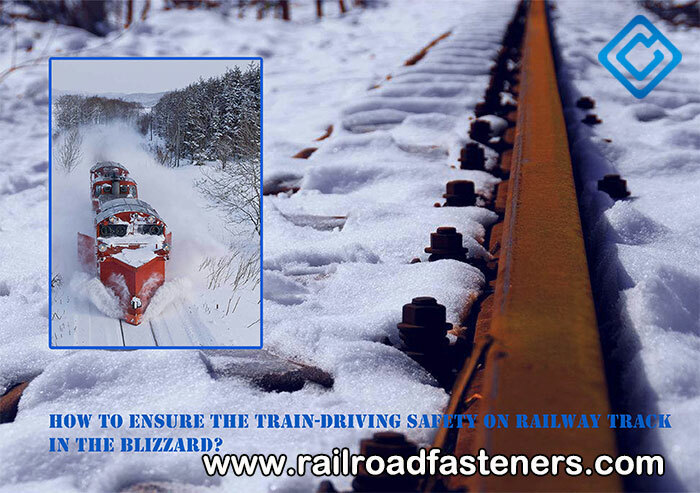 How To Ensure The Train-Driving Safety On Railway Track In The Blizzard? The weather is very cold in the winter. A blizzard covers large swaths of the central and eastern parts of China recently. As we all know, railway line is generally built in an open air with the track exposed outsides. So what kind of problems may the track encounter under this bad weather conditions, and what kind of security risks will the track exist? What kind of serious impacts will happen on the train? And how should people ensure the train-driving safety on the track? This article will make the statements about the above questions. What weather conditions will have the impacts on the train track? What kind of impacts will they bring us? What damages will these impacts have on train-driving safety? Landslide, heavy rain, tornado, sand storm, avalanche, blizzard, freezing, hail and others all belong to weather disaster. All of them will have the impacts on the train-driving track. However, in winter, both blizzard and freezing are the most important weather disasters that can have crucial and serious impacts on the track. Generally a heavy snow almost has no impacts on the track. Due to huge train self-weight, the steel rail does not need to remove snow basically and the train can continue to drive directly on the track. However, a blizzard will bring very thick snow, and people must take the snow removal measures. Otherwise, the train cannot run. The track will not freeze easily. Even though the lighter freezing phenomenon happens, it will be basically unaffected. According to nature principal, the freezing conditions require that the freezing surface temperature is higher than the freezing point and then there is water remaining on the track. Next, the temperature can get decreased. These conditions are almost impossible to be met. Most of modern railway lines are the electrified type lines. Because the conductive circuit will cross the rails, the friction generated by passing the train will make the rails heated up. At the time, snow will fall down and melt on the rails, which will reach the melting conditions. But the arc surface of the rail makes it impossible to accumulate water there. Once the train passes, a layer of thin ice will disappear. The above statements just aim at the general railway lines. But the areas of railway turnouts are special and cannot be ignored. Turnouts are the turning points of the train. When the turnouts can move back and forth, the train can change the running lines. However, when the turnouts need to be accurately moved to the right places, and jointly combined with the frogs. Because the turnouts are sandwich structure, there will have the accumulated water and ice in the middle of metal base and the steel sheet. With the time is on, the ice there will get thicker and thicker. The accumulated snow and ice will make the turnouts not move to the right places. So the train cannot turn. If people cannot handle it in time, it may lead to the accidents. In 2008, a blizzard occurred in Hunan Province of China, affecting normal operation of the railway on a large scale. At that time, there is snow with nearly 350cm high on the pantograph of the train. Only in the area within the pantograph slippery range there’s no snow. When the trains pass through the turnouts, the pantograph is severely pulled, which results that the train roofs spark. How to deal with snow accumulation and freezing phenomenon? For the thicker accumulated snow on the general track, people use snow removal locomotive or machinery to work. There is often equipped with snow shovels used to clear the snow on the pantograph and catenary on the locomotive. Of course, manual snow removal is the necessary measures sometimes. Being equipped with the electric heating turnout. The electric heating turnout includes two types: One is that the electric heating element is installed on the slide board. Because of its high failure rate and excessive accidents of electric leakage, it is inconvenient for maintenance of public works and cannot completely solve the problems. The other is that the electric heating element is installed on the outside of basic rail. Its failure rate is lower, but its efficiency and energy consumption are also lower. Thus, manual snow removal method is necessary at many railway sections. Manual snow removal equipments include broom, shovel, small hook shovel, deicing agent, anti-freezing oil and so on. The burners include two types: oil burner and gas burner. In the use of the burners, people find both advantages and disadvantages. Snow or ice burnt by the burners can turn into water, and then people can make the turnout be dry, but new fallen snow will go on changing into water. So there will be a new layer of ice on the turnout. How to take preventive measures? Before the winter, the relevant departments need to carry out have the joint consultations and make disaster preparedness plan. Snow removal vehicles and snow removal machinery shall be had the test running. People should collect snow and freezing information and analysis in advance. The designers and engineers can make new structural trains than can have the performances of cold and snow resistance. People can set snow ditches on both sides of the railway lines in advance. How to maintain railway fasteners and turnouts effectively in bad weather? The railroad track is often affected by the temperature, so the connection gaps may be changed in varying degrees. 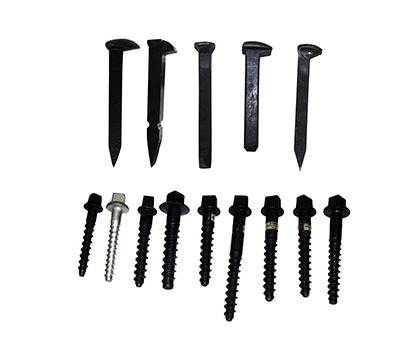 Therefore, people must re-tighten and re-oil each fastener to ensure that it is not corroded by external environment. 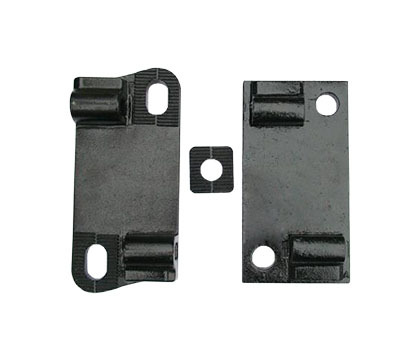 In order to the railway track can be kept within a proper range of rail joints, the rail must be re-tightened to ensure that the rail connected components can always work under standard torque. The turnout structure is complex, so the maintenance and repair of railway turnouts account for 70% of the total maintenance. After bad weather, people should carry out key maintenance in the areas of railway turnouts. The structure and its components shall be inspected in time. From the above statements, we know that the quality of turnout and frog is very important. AGICO Group owns rich experience and advanced equipments in railway accessories. 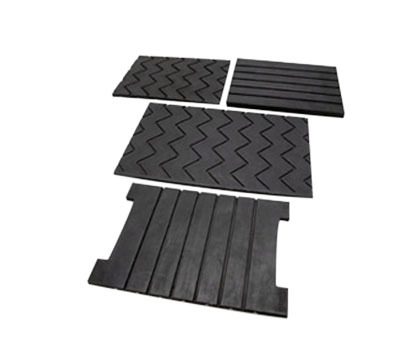 As a professional railway enterprise, AGICO Group is major in railway products with good quality. 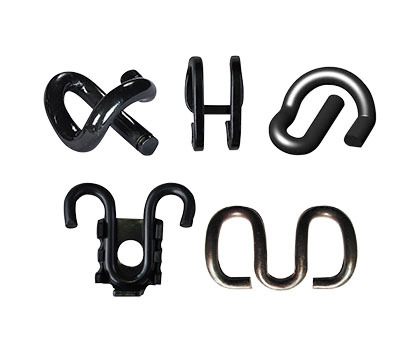 We have steel rail, crane rail, rail fastening systems, rail fishplate, rail tie plate, rail bolt, railroad spikes, steel dog spike and tunnel bolt for sale. Besides, we can manufacture AREMA turnout and AREMA frog. The AREMA turnout and frog has been exported all over the world. Depending on more than ten years export experience, we can offer the most competitive price and highest quality for our customers all over the world. We sincerely seek for reliable cooperators abroad to market the world. Welcome to contact with us!